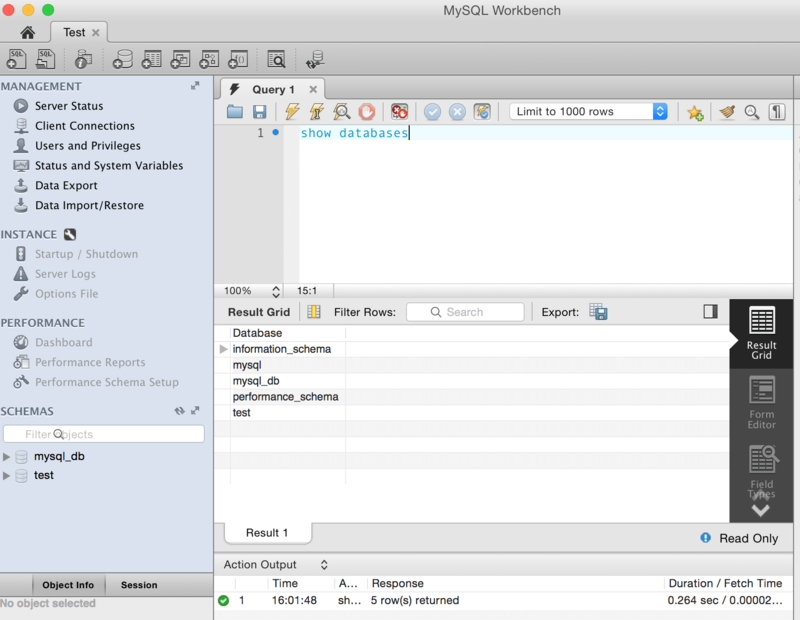 NOTE: This section assumes that you have downloaded and installed MySQL Workbench. 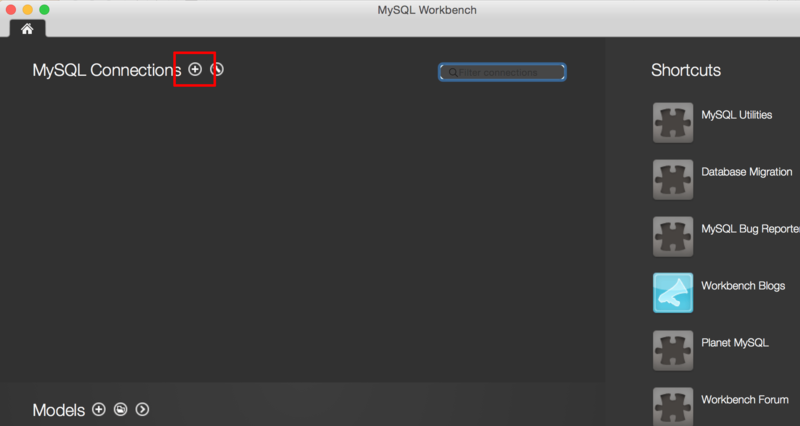 To connect to your remote MySQL database server using MySQL Workbench, you have to allow remote connections to the server. 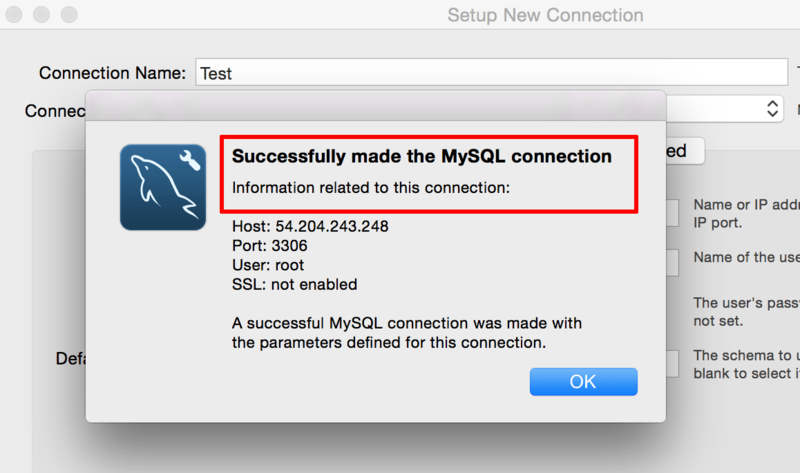 Click the “+” symbol in the “MySQL Connections” tab to add a new connection. Enter a name for the connection in the “Connection Name” field. Select “Standard (TCP/IP)” as the “Connection Type”. Enter your cloud server’s IP address in the “Hostname” field. Specify the “Port” as “3306”. 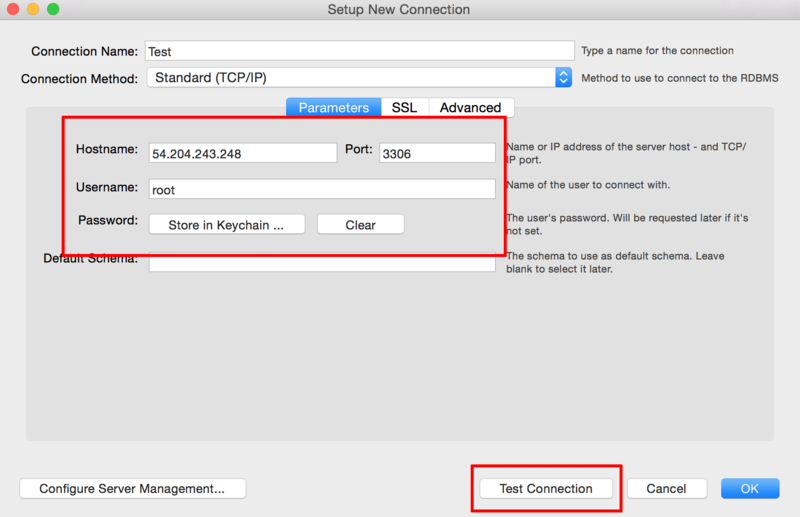 Specify the “Username” as “root”. Click “Test Connection” to test the connection.